For photos of past events, please visit our Facebook page. For videos, click here. Advocacy Training. Democracy works best when everyone participates and makes their voices heard. 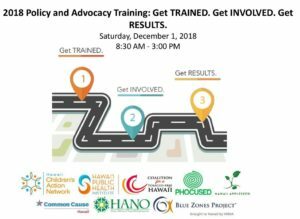 To that end we partnered with Hawaii Children’s Action Network, Hawaii Public Health Institute, PHOCUSED, Hawaii Appleseed, Hawaii Alliance of Nonprofit Organizations, and Blue Zones Projects, to train over 100 citizen advocates on getting involved at the State Legislature. Find training materials here. 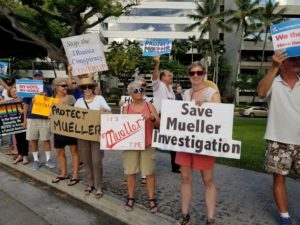 Protest to Protect the Mueller Investigation. When President Trump dismissed Attorney General Jeff Sessions and appointed Matthew Whitaker as Acting Attorney General, hundreds of people across the state, along with thousands across the country mobilized within 24 hours to protect Robert Mueller’s investigation. Whittaker has frequently criticized the investigation and mused about cutting Mueller’s budget. The people spoke loudly and clearly—that we want and deserve an independent investigation to get the truth and accountability. Con Am: What you need to know about a surcharge for education. KHON2 and Common Cause Hawaii partnered for a live forum on the constitutional amendment for an education surcharge. The question that will be posed to voters on the November ballot will say “Shall the legislature be authorized to establish, as provided by law, a surcharge on investment real property to be used to support public education?” Panelists: Corey Rosenlee, President of Hawaii State Teachers Association (support); Deborah Zysman, Executive Director of the Hawaii Children’s Action Network (support); Colbert Matsumoto, representing Affordable Hawaii Coalition (opposition); Randy Roth, professor emeritus at the UH Richardson Law School (opposition); moderated by Gina Mangieri. Watch the recording. Civil Cafe: Legislative Wrap-Up 2018. Our third and final event of our legislative series. 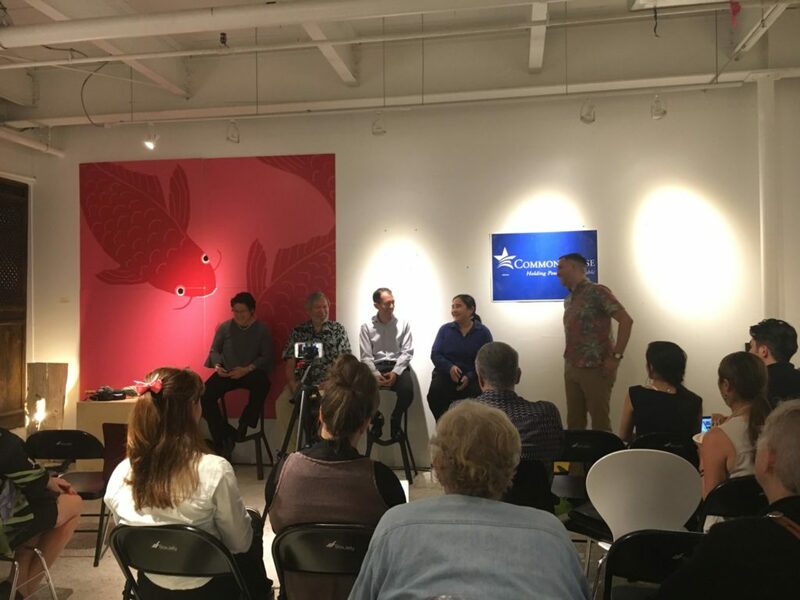 In partnership with Honolulu Civil Beat, the panel discussion, moderated by Civil Beat’s politics and opinions editor, Chad Blair, recapped the highs and lows of the 2018 legislative session. Panelists were House Speaker Scott Saiki, Senate Majority Leader Kalani English, Civil Beat Reporting Fellow Courtney Teague, and Common Cause Hawaii Executive Director Corie Tanida. Civil Cafe: Mid-Session Legislative Update. The second in our legislative series, in partnership with Honolulu Civil Beat, for a mid-session check in. Panelists discussed the #MeToo movement, transparency in government, and the status of various bills under consideration. The panel featured Senator Donna Mercado Kim (D), Representative Gene Ward (R), Corie Tanida of Common Cause Hawaii, Courtney Teague of Civil Beat, moderated by Chad Blair of Civil Beat. Civil Cafe: 2018 Hawaii Legislative Preview was hosted by Honolulu Civil Beat in partnership with Common Cause Hawaii to discuss major issues that will come up in the Legislature and some that may not, but should. Panelists explored why bills on several topics repeatedly fail to pass and what that process entails, before offering tips on how to get involved and the best way to stay informed this session. Click here to watch the full video. Increased citizen participation in the lawmaking and electoral process makes for a more robust democracy. Experts from the Center for Secure and Modern Elections discussed Automatic Voter Registration and how it could help bring Hawaii’s elections into the 21st century. Click here to view the video. In today’s unpredictable political climate, ethics in government and the people’s confidence in government are facing unprecedented challenges. 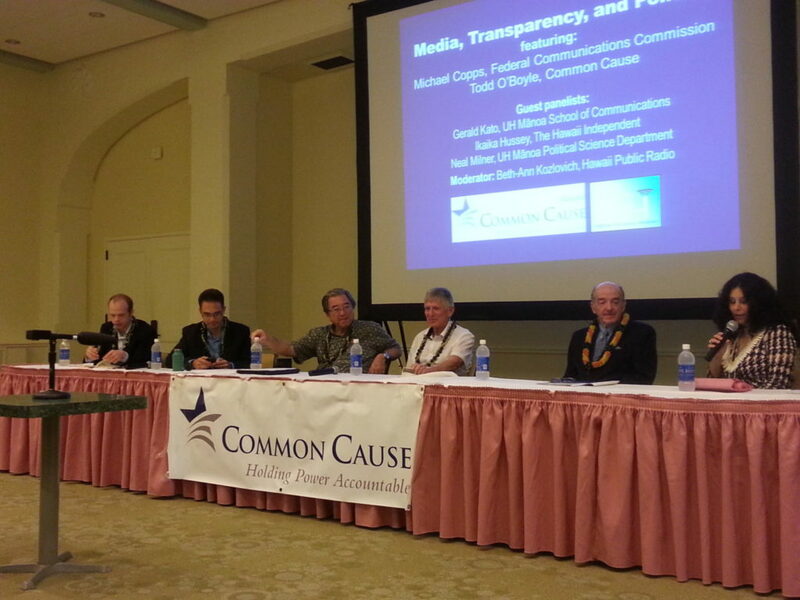 Common Cause Hawaii hosted a panel discussion to regarding this important, but often overlooked issue. Panelists: Daniel Gluck, Executive Director Hawaii State Ethics Commission; Ian Lind, Investigative Journalist;Kristin Izumi-Nitao, Executive Director Campaign Spending Commission; and Corie Tanida, Executive Director Common Cause Hawaii. Moderated by Eric Cordeiro. Watch the video here. Common Cause Hawaii Board Chair Elton Johnson and Executive Director Corie Tanida hosted a webinar for Common Cause Hawaii members to discuss changes in the last year, and challenges we’re facing in this unprecedented and unpredictable climate. Click here to watch the webinar. Common Cause Hawaii partnered with Hawaii J20 and hundreds of people across Oahu to demand that President Trump release his tax returns. We deserve to know: what’s hiding in President Trump’s tax returns? The American people deserve answers about President Trump’s business dealings and assets. If we let him keep hiding his tax returns, critical questions about his potential conflicts of interest and ties — or whether he paid taxes at all — will remain unanswered.Honolulu Civil Beat live streamed the event. Video credit: Anthony Quintano/Civil Beat. Together with the League of Women Voters Hawaii, Common Cause Hawaii hosted an informational briefing for prospective applicants for membership on the Campaign Spending and Ethics Commissions. Former and current commissioners spoke about their responsibilities and duties and the State Judiciary explained the application process. Watch the video here. 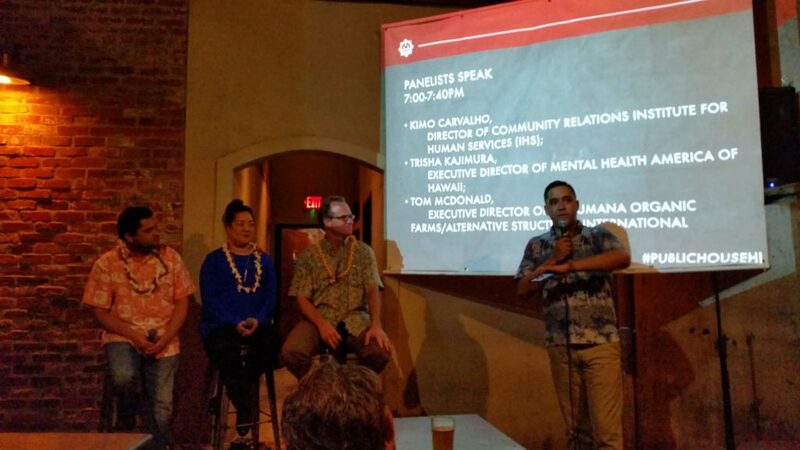 Common Cause Hawaii partnered with Honolulu Civil Beat to host “Legislative Session—What Can I Do?” This panel discussion encouraged civic engagement. The panelists guided attendees through the ins and outs of lawmaking and offer actions to influence positive change in the community. Panelists included: Beppie Shapiro, League of Women Voters Hawaii; Corie Tanida, Common Cause Hawaii; Keanu Young, Public Access Room; moderated by Chad Blair, Honolulu Civil Beat. Click here to watch the video. Corie Tanida, executive director of Common Cause Hawaii, did a mock press conference at the University of Hawaii’s Journalism Day, for aspiring high school journalists. The press conference, which announced that Common Cause Hawaii will once again champion automatic voter registration during the 2017 Hawaii State Legislative Session, was the culminating event of the day for the students, who earlier attended workshops led by local reporters. After the press conference, the students put their newfound skills to use and created news, editorial, and video pieces on the topic. 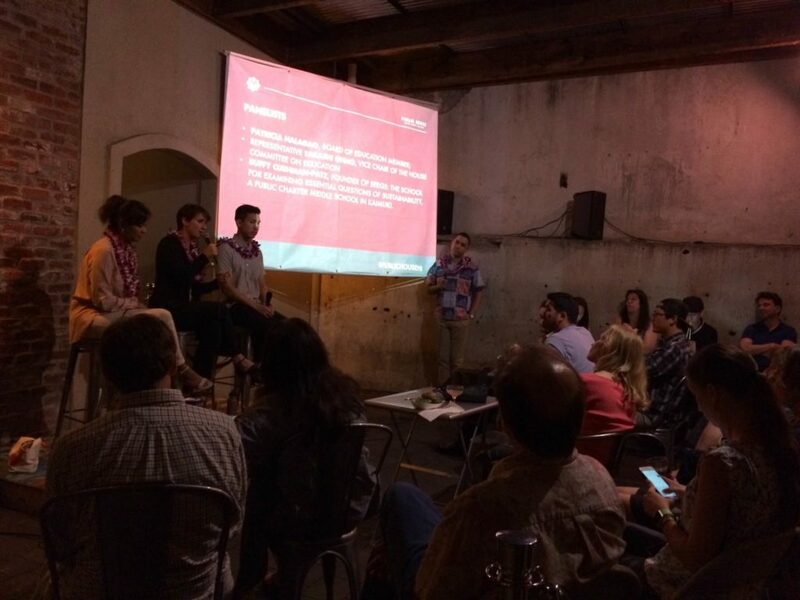 The last Public House of 2016 was held on Memorial Day, and discussed “Urban Development”. The illustrious panel featured Annie Koh, Ph.D. candidate in Urban & Regional Planning at UH Manoa; Andrew Tang, Urban Planner at Honolulu’s Transit Oriented Development Division; and Ryan TamChair of the Ala Moana-Kakaako Neighborhood Board #11. Click here for the event recap. 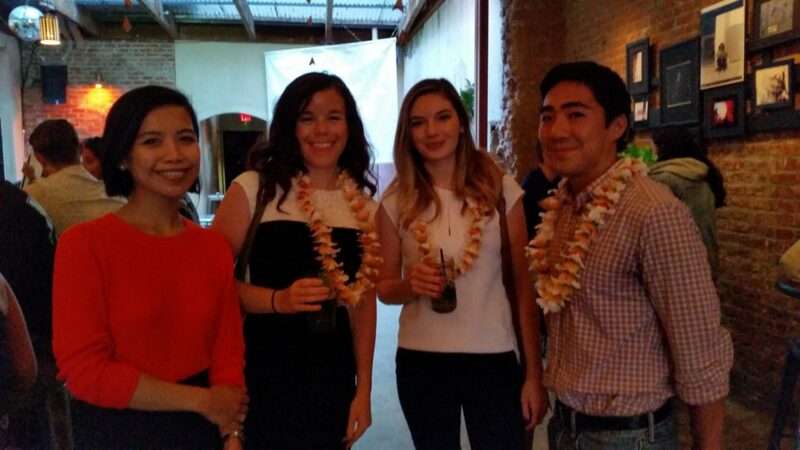 On April 25, 2016 Common Cause Hawaii and Manifest hosted the fourth installment of their Public House series. 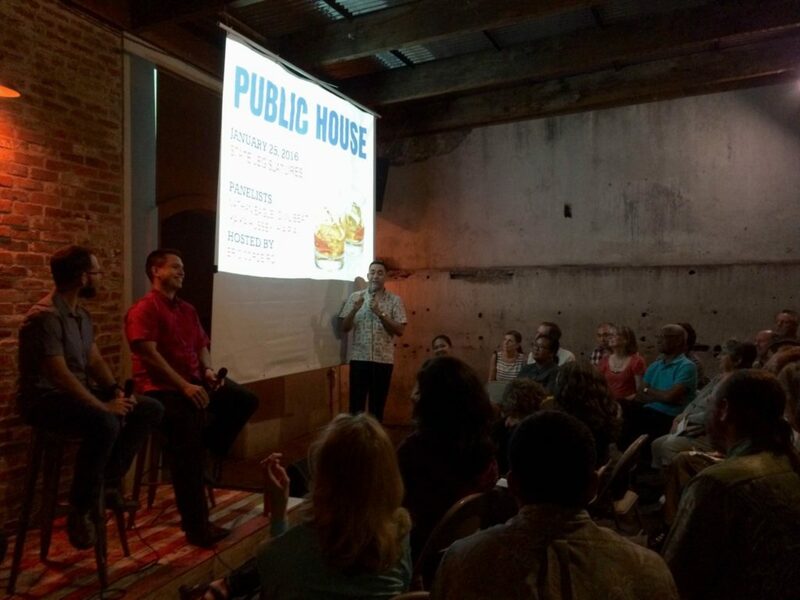 April’s Public House discussed “The New Economy: entrepreneurship, crowd-funding, and startups”, featuring panelists Tabatha Chow, Uber Operations Manager; Sara Cobble, Pono Home General Manager; Spencer Toyama, Sudokrew Co-Founder/Business Development. The event was hosted by Eric Cordeiro with music by DJ Jet Boy. Read the event recap for more. Kimo Carvalho, Director of Community Relations Institute for Human Services (IHS); Trisha Kajimura, Executive Director of Mental Health America of Hawaii; Tom McDonald, Executive Director of Kahumana Organic Farms/Alternative Structures International. The panelists engaged in a robust discussion and provided great insights as to some of the issues Hawaii is facing regarding mental health and homeless. Click here for an event recap. Civil Beat’s Civil Cafe on Apathy and Influence was a panel discussion on how good government bills are faring in the legislative session. Panelists included state Sen. Maile Shimabukuro, Common Cause Executive Director Carmille Lim, and the League of Women Voters’ Janet Mason. The discussion was moderated by Chad Blair of Civil Beat. Panelists discussed term limits, low voter turnout, campaign finance reform and the practice of legislators sharing their campaign funds with other politicians. Click here to watch the video. Public House is a FREE event held on the last Monday of each month, sponsored by Common Cause Hawaii and Manifest. Hosted by Eric Cordeiro with music by DJ The Forrest, the very knowledgeable panelists included: Patricia Halagao, Board of Education member; Representative Takashi Ohno, Hawaii State House member, Vice Chair of the House Committee on Education; and Buffy Cushman-Patz, School Leader and Founder of SEEQS: the School for Examining Essential Questions of Sustainability, a public charter middle school in Kaimuki. Click here for the recap. Common Cause Hawaii‘s first benefit dinner, “Dining for Democracy,” at The Pig and the Lady, featured investigative blogger Ian Lind as the keynote speaker. As a former newsletter publisher, public interest advocate, peace educator, legislative staffer, lobbyist for Common Cause Hawaii, and currently an investigative reporter and columnist who has been blogging daily for 15 years, Ian was able to share incredible stories about how Hawaii politics and local media have morphed over the past 30 years. 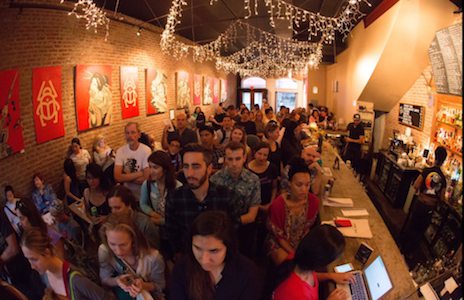 Check out the event recap and photos. Public House is a FREE event on the last Monday of each month, sponsored by Common Cause Hawaii and Manifest. Special guest panelists and clips from Last Week Tonight with John Oliver highlight issues that Hawaii is facing today. The public was encouraged to join the conversation and share their opinions. The event was hosted by Eric Cordeiro, with music by DJ Jet Boy. Featured panelists were Nathan Eagle, reporter at Civil Beat; Ikaika Hussey, board member with H.A.P.A (Hawai’i Alliance for Progressive Action). Check out the recap here. A workshop aimed at helping attendees understand the role of Conference Committees in the legislative process, and how to understand Conference Committee rules. This workshop was conducted in partnership with the Public Access Room, featuring guest presenter Virginia Beck, Public Access Room Coordinator. Common Cause Hawaii and Public Citizen co-hosted a rally urging President Obama to issue an Executive Order, requiring federal government contractors to disclose their political contributions to dark money groups. Held on the first anniversary of the Supreme Court’s McCutcheon, ruling that further put our democracy up for sale, an executive order could not only reveal the groups behind the flood of attack ads we see every election cycle, but also put a stop to quid-pro-quo contracting. Piggy-backing on Sunshine Week, which is dedicated to promoting transparency and public access in government, Common Cause Hawaii presented a live demonstration of the nonpartisan Hawaii Open Budget website. Guest presenters Paul Harleman, Budget Director and Tisha Panter, Senior Attorney and Director of Research of Senate Minority Research Office, provided an overview of the budget process and how to utilize the website. The Hawaii Open Budget Initiative is a joint effort of the Hawaii State Senate and House Minority Caucuses. It is a nonpartisan informational tool that makes the state budget information accessible to the public. Film screening of Pay 2 Play on the 5th anniversary of the Supreme Court’s Citizens United v. FEC decision. The event’s theme was “Unhappy Unbirthday” inspired by the “Merry Unbirthday” scene in Alice In Wonderland. Film screening of Pay 2 Play. This film follows film maker John Ennis’ quest to find a way out from under the Pay 2 Play System, in which politicians reward their donors with ever larger sums from the public treasury — through contracts, tax cuts, and deregulation. This event was co-sponsored by Public Citizen. Carmille Lim, Executive Director of Common Cause Hawaii joined Susan Dursin of the League of Women Voters and Chris Yuen, former board member of The Hawaii Elections Project, to discuss the issues of clean elections and transparency in Hawaii. The event was co-sponsored by student group Democracy Matters, Global HOPE and Common Cause Hawaii. In conjunction with Interisland Terminal, Hawaii Open Data and Startup Weekend Honolulu, this two-day event included the film screening of The Internet’s Own Boy, which follows the story of programming prodigy and information activist Aaron Swartz, and an Open Knowledge Action Workshop to launch a broader discussion about Open Knowledge, public access to government data and public records. Live media coverage of important current events is shrinking. It’s increasingly becoming citizens’ responsibility to share significant events and key policy-decisions with others. At this free workshop, participants learned from social justice activist H. Doug Matsuoka, of Hawaii Guerilla Video Hui, how to broadcast video live to the internet using their smartphone. Film screening of “Citizen Koch”. The film investigates the impact of unlimited, anonymous spending by corporations and billionaires on the electoral process. This event was co-sponsored by the Americans for Democratic Action/Hawaii. Developers of Civic*Celerator apps and CCHI team members held demonstrations to teach community members what the apps are capable of, and how to use them. 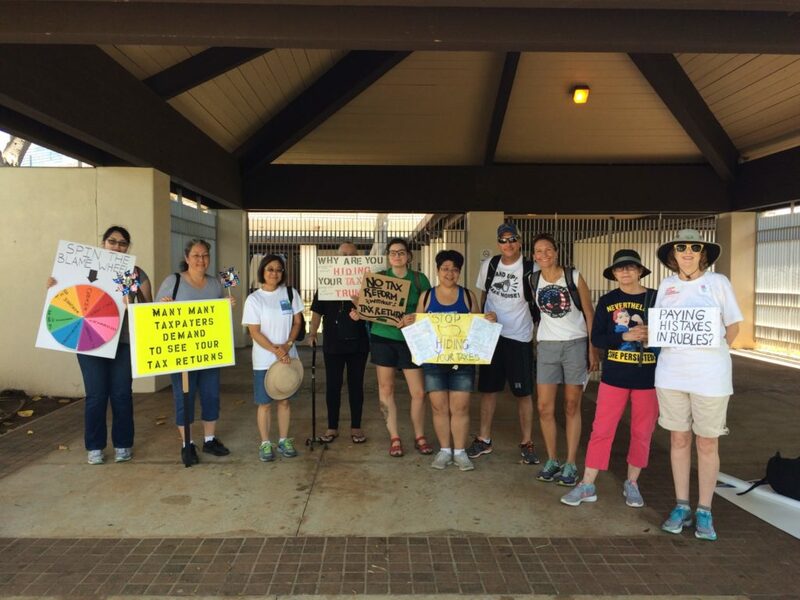 Demonstrations were held in town and at various Neighborhood Board meetings, including Hawaii Kai, Pearl City, and Kuliouou. Demo Day was the culmination of four months’ worth of Civic*Celerator work. Teams presented their final products to a panel of judges, who offered feedback and scores. Teams were given until the end of May to incorporate feedback from judges before the apps were given a “hard launch” in June. Judges included reporters from Hawaii News Now, Civil Beat, Hawaii Star Advertiser, the executive director of the Hawaii Campaign Spending Commission, and a CEO of a local tech-investment company. Click here to use the apps. “Hack nights” are nights for policy brainstorming and coding. Teams comingled and collaborated to further develop their apps. Hack nights were open to the public and we welcomed citizen advocates to participate and bring in their own perspectives and suggestions to the Civic*Celerator apps. At this point in the legislative session, the 2014 public funding had been killed. Our only hope for a public funding bill this session was to “revive” HB1481, the 2013 bill that was stalled in Conference and “carried” over to this legislative session. The rally was aimed to show community support for this bill in hopes of persuading legislators to pass HB1481. This rally was co-sponsored by Voter Owned Hawaii, Babes Against Biotech, Faith Action for Community Equity (FACE), and Sierra Club Hawaii. Ben & Jerry’s Ice Cream co-founder Ben Cohen was the keynote speaker, and local award-winning singer and slack-key musician Makana also spoke at and sang at the rally. A workshop aimed at helping attendees understand the role of Conference Committees in the legislative process, and how to understand Conference Committee rules. In a Q&A and roundtable format, we explored ways citizens can continue to advocate on their issues as Conference work is done “behind closed doors.” This workshop was done in partnership with the Public Access Room, and featured guest Nikki Love, policy director of the Hawaii Alliance for Nonprofit Organizations. Click here to view the video of the workshop. Pre-Demo Day was geared to provide a public preview of the apps created by volunteer teams participating in Civic*Celerator. This was an opportunity for the audience to ask questions and provide feedback for teams to incorporate. This was also an opportunity for teams to practice their presentation for Demo Day. This was a lunchtime talk on net neutrality and pending decisions with the FCC. The topic was Media and the Struggle for Democracy. This luncheon event was co-sponsored by Media Council Hawaii. In early 2013, Common Cause Hawaii released part 1 of a study comparing political ads and political news/issue coverage in the media, in the 2012 elections. 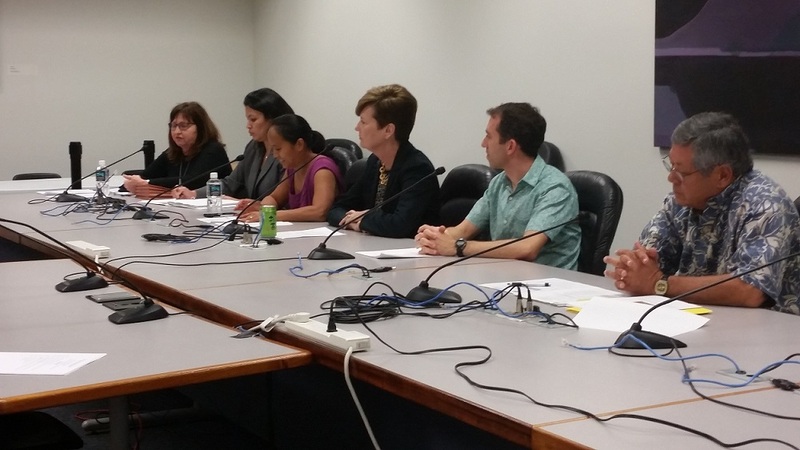 For Sunshine Week 2014, Common Cause Hawaii released part 2 of the study and convened a panel to discuss it in depth. Former Federal Communications Commission (FCC) member Michael Copps was the keynote speaker. The panel included Common Cause’s media director, Todd O’Boyle; the publisher for the Hawaii Independent, a political science professor emeritus at the University of Hawaii – Manoa (UHM), a journalism professor at UHM, and the executive producer of Hawaii Public Radio. Photo: Panelists L-R: Todd O’Boyle, Director for Media and Democracy at Common Cause; Ikaika Hussey, Publisher The Hawaii Independent; Gerald Kato Professor of Journalism Univeristy of Hawaii at Manoa; Neal Milner Former Professor of Political Science University of Hawaii at Manoa; Michael Copps, Former Federal Communications Commission member; Beth-Ann Kozlovich, Executive Producer/Host Hawaii Public Radio. Within this workshop, we laid out the history of public funding in Hawaii, how public funding works, why it’s needed, the mechanics of the 2014 bill, and how other states’ public funding programs work. Common Cause organized this workshop with Faith Action for Community Equity (FACE). Representatives from Common Cause, League of Women Voters, and Americans for Democratic Action/Hawaii were on the panel. A workshop aimed to help attendees understand the role of floor readings within the legislative process. We explored how to read the Order of the Day (i.e., the agenda for floor hearings), and how citizens can participate in this. This workshop was done in partnership with the Public Access Room. Click here to view the video of the presentation. In addition to Civic*Celerator groups working independently, several participants gathered as a larger group, to work on their applications, brainstorm ideas for other groups’ apps, and be mentored on campaign finance laws. Groups also used this time to identify possible policy solutions to campaign finance loopholes they are stumbling across. 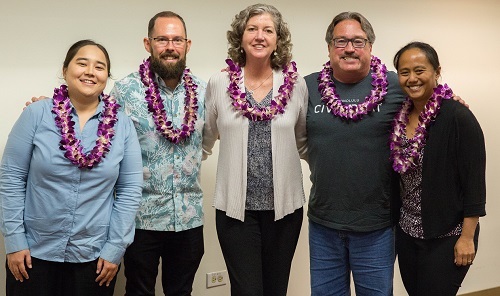 Common Cause Hawaii held a film screening of “Inequality for All” with an unprecedented group of co-partners whose focus is on economic development, social justice, faith groups, and labor rights. 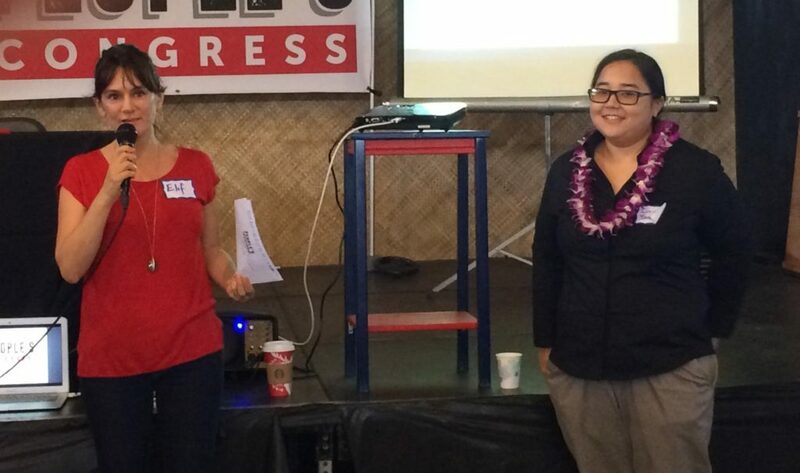 The event included a discussion of Hawaii’s minimum wage and how money-in-politics affects social and economic issues. Nearly 300 people attended. 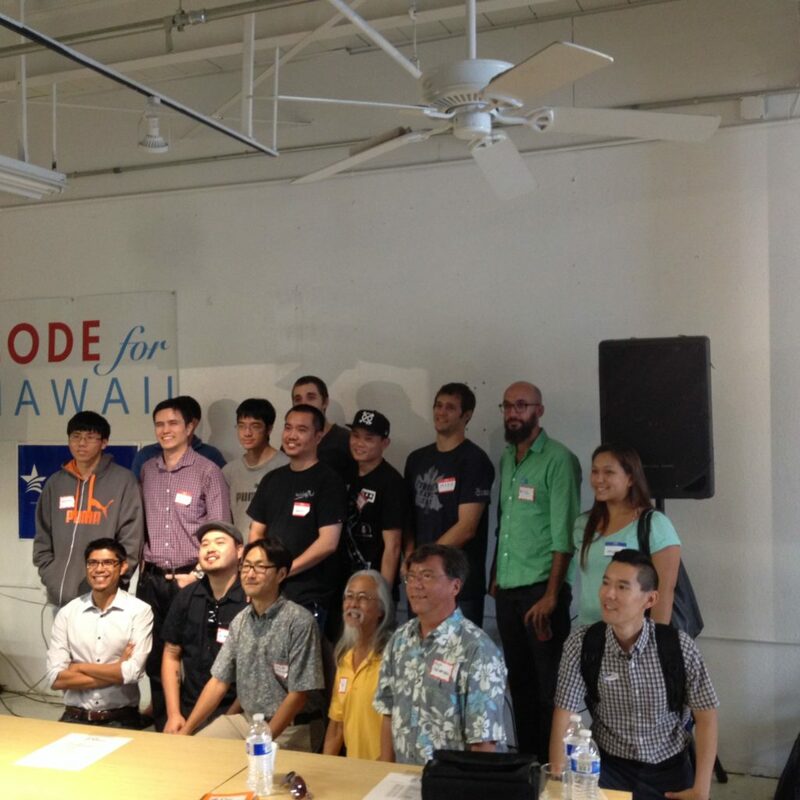 Common Cause Hawaii and project co-partners Hawaii Open Data launched Civic*Celerator (an initiative funded by Voqal), a contest to build civic apps and educate voters utilizing data from the Hawaii Campaign Spending Commission and other government agencies. We used this opportunity to thank our extended team, look back on 2013’s accomplishments, and unveil 2014 initiatives. We worked with service-learning teachers to develop a tailored coaching “curriculum” for high school students on money-in-politics issues. With CCHI’s coaching, high school students presented their interpretation of various campaign finance laws and possible solutions. We gathered community members for a pau hana to discuss the possible implications of McCutcheon, and Citizens United and provided a historical context for money-in-politics issues and key decisions in the United States. Common Cause Hawaii held a film screening of the documentaryfilm “The United States of ALEC.” The screening was followed by a moderated group discussion (among attendees) to talk about the issue of money and politics, and the ever-increasing corporate control of our democracy. This was a pau hana roundtable aimed at giving guests a preview of issues Common Cause Hawaii will be tackling in the coming legislative session. Guests brainstormed additional policy ideas, and discussed ethics, transparency, and money-in-politics issues and potential solutions. Speakers from Media Council Hawaii, Hawaii Open Data, Voter Owned Hawaii, and a state representative to discussed several key “democracy” bills, and share their stories of process-related challenges and achievements. We spoke to 15 individuals representing 10 nonprofit organizations – including organizations on the neighbor islands. Our discussion was focused on the legislative processes, and how we can encourage more ethical behavior, and more transparency and better public access to encourage public participation (especially for neighbor island people). We co-hosted a workshop to recruit community volunteers to serve as commissioners for the Ethics Commission and Campaign Spending Commission, resulting in recruiting seven applicants to the State Ethics Commission and two applicants for the Campaign Spending Commission. This workshop was co-hosted by the League of Women Voters of Hawaii and Kanu Hawaii. We hosted a roundtable discussion for representatives of 15-20 community organizations which recognize the need to support “good government” measures. This meeting resulted in an ongoing and informal “Good Government” coalition, with representatives from healthcare, insurance, media, environment, gambling groups. Among many group efforts to raise the profile of the need for “good government practices,” we helped to raise community awareness of legislative practices that alter a bills’ original content without (or with late) public notification. This roundtable discussion was co-hosted with the League of Women Voters of Hawaii. Below are selected highlights from past Common Cause Hawaii events, with links to video and additional information. For more photos please visit our Facebook page. Civil Cafe: 2018 Hawaii Legislative Preview was hosted by Honolulu Civil Beat in partnership with Common Cause Hawaii to discuss major issues that will come up in the Legislature and some that may not, but should. Panelists explored why bills on several topics repeatedly fail to pass and what that process entails, before offering tips on how to get involved and the best way to stay informed this session. Increased citizen participation in the lawmaking and electoral process makes for a more robust democracy. Experts from the Center for Secure and Modern Elections discussed Automatic Voter Registration and how it could help bring Hawaii’s elections into the 21st century. Ethics in Government: Theory or Practice? In today’s unpredictable political climate, ethics in government and the people’s confidence in government are facing unprecedented challenges. Common Cause Hawaii hosted a panel discussion regarding this important, but often overlooked issue. Panelists: Daniel Gluck, executive director Hawaii State Ethics Commission; Ian Lind, investigative journalist; Kristin Izumi-Nitao, executive director Campaign Spending Commission; and Corie Tanida, executive director Common Cause Hawaii. Moderated by Eric Cordeiro. Common Cause Hawaii Board Chair Elton Johnson and Executive Director Corie Tanida held a webinar for Common Cause Hawaii members to discuss changes in the last year, and challenges we’re facing in this unprecedented and unpredictable climate. Common Cause Hawaii partnered with Hawaii J20 and hundreds of people across Oahu to demand that President Trump release his tax returns. We deserve to know — what’s hiding in President Trump’s tax returns? The American people deserve answers about President Trump’s business dealings and assets. If we let him keep hiding his tax returns, critical questions about his potential conflicts of interest and business ties — or whether he paid taxes at all — will remain unanswered. Honolulu Civil Beat live streamed the event. Video credit: Anthony Quintano/Civil Beat. With the League of Women Voters Hawaii, we hosted an informational briefing for those interested in applying for membership on the Campaign Spending and Ethics Commissions. Former and current commissioners spoke about their responsibilities and duties and the State Judiciary explained the application process. Guest speakers included: Daniel Gluck, Executive Director Hawaii State Ethics Commission, Judge Rey Graulty Chair of the State Ethics Commission, Representative Della Au Bellati former Campaign Spending Commissioner, and Jaye Atiburcio Hawaii State Judiciary. Click here for more information and the application. Civil Cafe: Legislative Session–What Can I Do? 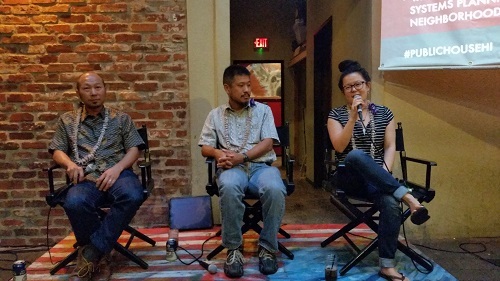 Common Cause Hawaii partnered with Honolulu Civil Beat to host “Legislative Session—What Can I Do?” This panel discussion encouraged civic engagement. The panelists guided attendees through the ins and outs of lawmaking and offered steps to influence positive change in the community. Panelists included: Beppie Shapiro, League of Women Voters Hawaii; Corie Tanida, Common Cause Hawaii; Keanu Young, Public Access Room. The session was moderated by Chad Blair, Honolulu Civil Beat. The Hawaii People’s Congress was a gathering of community leaders, organizations and movements from across Hawaii which want to work together to build a more just, fair and healthy future. Executive Director Corie Tanida was on the “Money In politics” panel discussion with Benjamin Singer of mayday.us. Panelists spoke about money’s influence on politics with a special focus on publicly funded elections. Click here to view the video. Civil Beat’s Civil Cafe on Apathy and Influence, was a panel discussion on how good government bills are faring in the legislative session. Panelists included state Sen. Maile Shimabukuro, Common Cause Executive Director Carmille Lim, and the League of Women Voters’ Janet Mason. The discussion was moderated by Chad Blair of Civil Beat. Panelists discussed term limits, low voter turnout, campaign finance reform and the practice of legislators sharing their campaign funds with other politicians. Virginia Beck of the Public Access Room briefed members of Common Cause Hawaii on the Order of the Day and Floor Readings, the role they play during the legislative session, and how to track your bills in this process. Michael Copps, former commissioner of the Federal Communications Commission, spoke to students and faculty of the University of Hawaii at Manoa’s Communications Department. Virginia Beck of the Public Access Room teaches members of Common Cause Hawaii the basics about the mysterious Conference Committees, what they are, and the role they play during this critical and often confusing time.